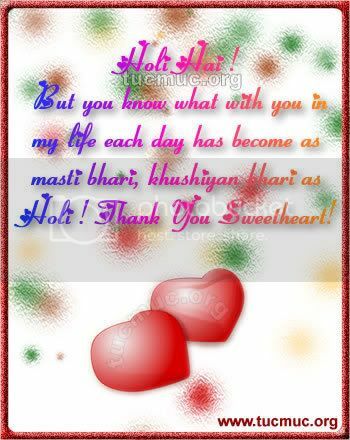 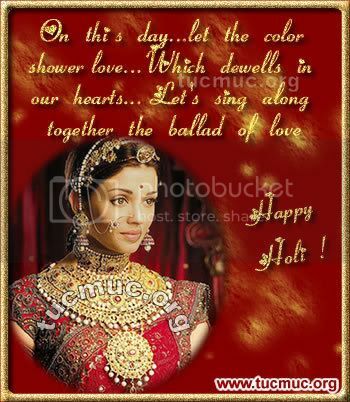 Holi is an Indian festival of Colors and Brotherhood. 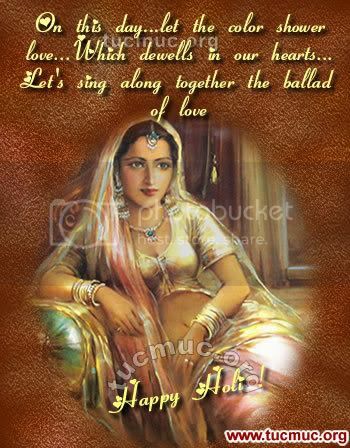 It is celebrated hugely in India and The music and colors are integral of Holi. 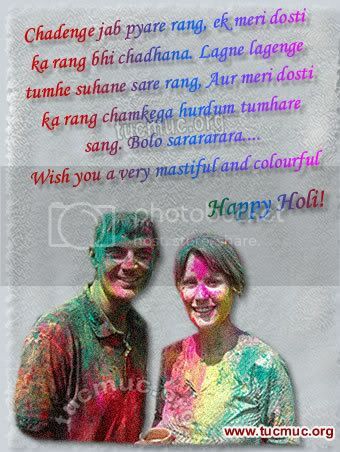 Rang barse.. bheege.. chunar wali rang barse Arey keene maari pichkaari, tori bheegi angiya O rangrasia rangrasia, ho! 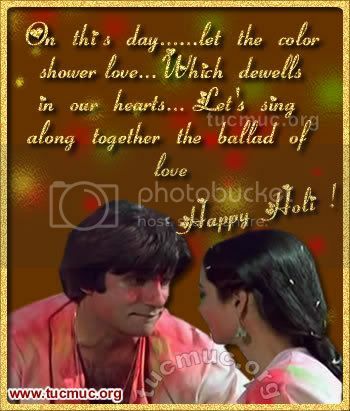 Rang barse, arey rang barse bheege chunar wali rang barse… Rang barse.